See fun Easter candy in the shape of cool office supplies. 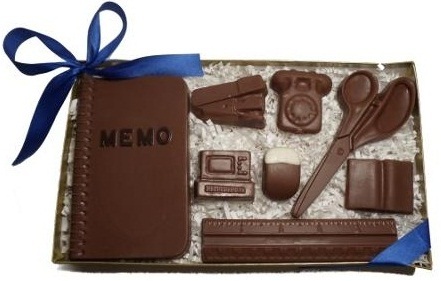 Attention Easter Bunnies: here’s what I want to see in my basket this year – cool office supplies made of chocolate! Good thing that computer keyboard isn’t real. 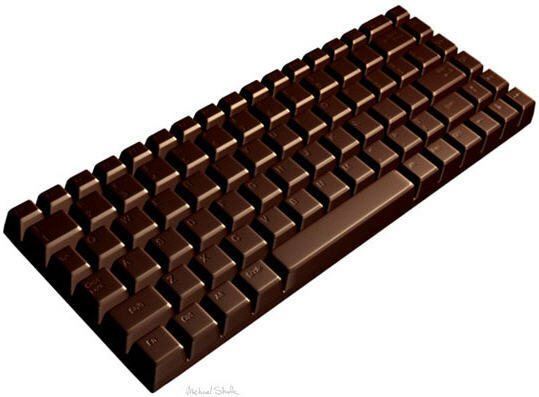 Otherwise, sticky keys would be a real problem. And that cool office supplies set is just precious! Look at the tiny chocolate rotary phone! Vintage and tasty. 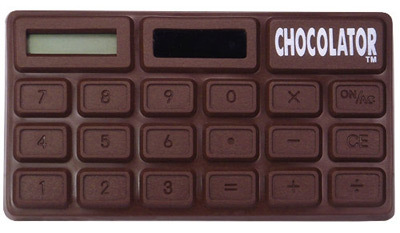 But I think the Chocolator is my favorite, and it isn’t even made of chocolate. It just smells like it. As if I didn’t already expect a candy reward for doing math! You can be your own Easter bunnies, guys. Just order Easter candy online at OnTimeSupplies.com. I work from home, so there are no office Easter bunnies to fill my basket. I’ll have to buy my own Easter candy. The “April Showers” are in full effect here in Chicago. Rather than risk pneumonia to satisfy my sweet tooth, I’ll just order from OnTimeSupplies.com. They’ll deliver my candy right to my doorstep, and thanks to their super speedy shipping, my candy will arrive in time for Easter! Tootsie Rolls: a total classic. Caramel Cremes: mmm…my favorite! Spoiling my appetite for dinner never tasted so good. Jelly Bellies: You can’t celebrate Easter without jelly beans. Plus, I’ll be ready for so fruity flavors after all that rich chocolate and caramel. Why not treat yourself to some grownup Easter candy from OnTimeSupplies.com? Consider it your reward for not eating ALL of your kids’ candy! Have a great Easter! Surprise your mom with cool office supplies. Enter the Mother’s Day Pink Ribbon Giveaway. 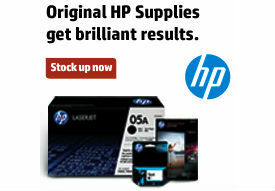 Plus, OnTimeSupplies.com will donate 50 cents to Living Beyond Breast Cancer for every valid contest entry. OnTimeSupplies.com loves LBBC, and we here at Smart Office do too! The venerable organization does fantastic work, helping women affected by breast cancer improve the quality of their lives and manage their treatment and recovery. The Mother’s Day Pink Ribbon Giveaway works just like last year’s Breast Cancer Awareness Month contest. Contest entry is fast, easy and doesn’t cost a thing. Just tell your friends that you want to support a great cause and give Pink Ribbon gifts this mother’s day. How to enter the Mother’s Day Pink Ribbon Merchandise Giveaway. Follow @OnTimeSupplies on Twitter or Facebook, or subscribe to online blog Smart Office. You must include the link! Each unique subscription and post counts as one contest entry. So enter at Facebook, Twitter and Smart Office for three chances to win and three chances to support a LBBC. See all the cool office supplies in the Pink Ribbon Merchandise Giveaway prize package. The working mom in your life will love getting these Pink Ribbon gifts! You must live in the continental United States to win. We’ll announce the contest winner here April 4, 2011. Good luck!